Are you tired of the daily maintenance required for natural grass? Artificial grass can give you the money and time-saving convenience you need! With artificial turf, not only will you transform your landscape into something beautiful without the worry of working up a sweat, artificial grass for dogs in Tampa can serve as a great play space for your furry best friends as well! Why Install Artificial Grass for Your Dogs? Keeping play areas for both children and pets clean and inviting is essential. Doing so creates a child and pet-care environment that is both welcoming and nurturing. However, outdoor play areas may contend with natural elements including rain, dust, heat, and wind. Depending on the weather, your outdoor living space may appear muddy or dry. No need to worry about thorough cleanups every now and then! Simply pick up your dog’s solid waste, and rinse your lawn with fresh, clean water. Artificial grass also comes with drainage systems that easily clean up urine and hair flow, so you can rest assured there’ll be no odor emanating from your lawn! 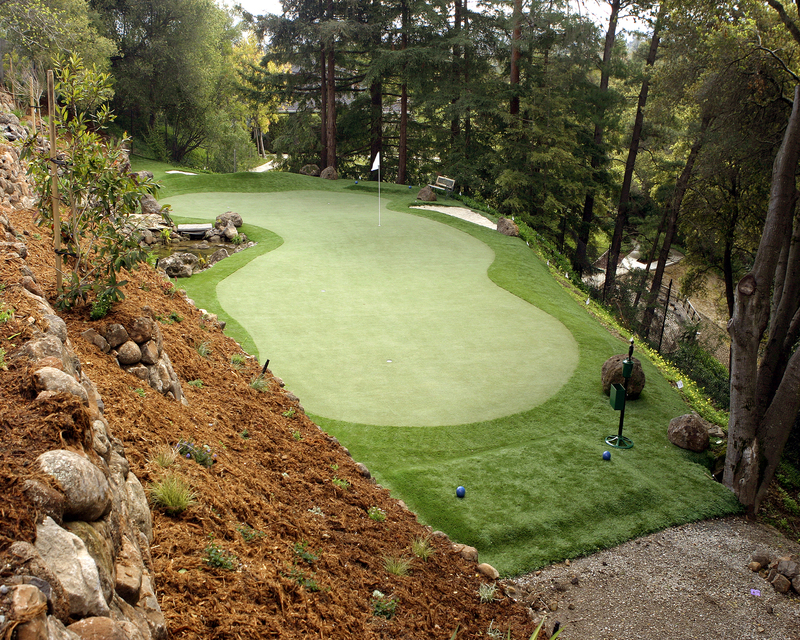 Artificial grass isn’t just limited to outdoor use. If you’re more comfortable with your pets playing indoors, or if you live in a place where access to the outdoors is difficult, then installing artificial grass inside your home may be your best option! Artificial grass is made from purely synthetic materials, which eliminate the need for pesticides, fertilizers, and other harmful chemicals for its upkeep. Your furry little friends deserve to enjoy nature to the fullest—and with quality artificial grass, you can give your dogs that opportunity! The Best Artificial Grass, Not Just for Your Lawn! Give Your Dogs the Play Space They Deserve! Nothing says joy than watching your furry little friends frolic around, having the time of their lives! Thanks to quality artificial grass for dogs in Tampa, your pets will surely get the play space they deserve! We at Tampa Artificial Grass Pros would be more than happy to help you out! We’d love to install quality artificial grass for your home and give your dogs and children, a safe and fun space to play on. Feel free to call us at 813-602-7964 or fill out our contact form to get a FREE quote for your project! We can’t wait to work with you! You may reach us by calling 813-602-7964 or send your inquiries through our Contact page.